Home / WHY DO I TEACH? I built this website because I was thrown into a situation where I had to teach composition to high school students. What in the world was I supposed to teach them? How do you teach composition? Can you teach composition? Creativity is such a personal thing and people write interesting things by being personal. So it felt very strange for me to impose my way of thinking onto somebody else. Who am I to impart my aesthetics onto others? While on some level it’s unavoidable, my goal as a teacher is for each student to figure out his or her own path. Here is what I can do, I can provide enough of a baseline to get people started in if not the “right” direction, at least a direction. 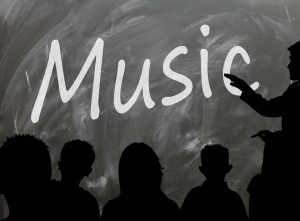 Composing is hard, and when you’re young, thinking about what music is is well, hard. So this site provides certain methods for thinking about composition. I am a teacher that finds it absolutely necessary to start from the beginning of a subject and make sure everyone understands the material. If core fundamentals are unclear, how can you expect to build from a shaky base? Surely everything would collapse. My approach to teaching one of these composition subjects looks like this: An encompassing approach of subject, history, analysis, creativity, and then “doing it-finding a way” to make the lesson your own. Lastly, I would like to say I created this site to be used by everyone. I will continue to add different composition ideas and branches to this website. If you have a cool idea that you think would benefit the young composer I am all ears! please contact me with any and all ideas.